You’re in for a real treat today! You won’t just get one video… you get two. Because I want you to see how the beginning STR process works a little better. What’s “STR”? It’s short for Short-Term Rental (a.k.a., vacation rental properties and corporate rentals). Unless you’ve been hiding under a rock lately you should know that I’ve been focusing on doing STRs in a big way. I have a goal of getting 50 done by this time next year if not sooner! To get to my goal means I need to raise private capital for my deals, right? That takes certain skills, which you can most certainly build. It’s called communication, but it doesn’t happen just like that. It takes building relationships and trust, too. Take a look at this video and you’ll understand what I mean a whole lot better. Without money guys and gals I couldn’t do what I do, especially not as fast I do it. Check it out. Go to www.CashFlowDiary.com/massivecash and sign up to get the info. Maybe You Want to See How the Unit is Coming Along? I don’t normally do this, but I’m pretty darned excited about how STR #9 is progressing. So I’m sharing a second video with you. It’s not very long, but in it you will see members of my team, the boxes upon boxes of stuff the team will have already put together by the time you’re reading this. You’ll see the trucks out front, the team members doing their thing and me as I give you a tour of the progress we made by the time of recording this video. Man, it’s a lot of hard work in the front of the process, but like I’ve always said, it’s not magic. But then what in your life happens magically? I learned about STRs and did the numbers. Realizing that the numbers worked really, really well… even in southern California, I looked for properties. Knowing that I don’t know what I don’t know, I educated myself in the process. Then I created systems as I added units to my portfolio. I gathered a good team that can help me in all areas of setting up the STRs. I systemized all that I could. Then I created a way to share what I have learned. That’s not magic. That’s learning and earning… and hard work. Then learning more so I can keep adding to my portfolio and my income. The best thing about this strategy is that is can work in a whole lotta places. Not everywhere, but then you’ll have to make a few calls and get the education to know whether you can use this strategy where you live or where you are thinking about having a few STRs. The long and short of this story is that YOU CAN DO IT, TOO!! Want to Know What the Unit Looks Like Finished? Me too… and that will be soon. Very soon. Right now, if you head over there, you’ll see that (aside from a few minor things to finish up) the rental is done!! We’ll be taking photos and adding them to our listing, checking a few things off the to-do list and putting them on the to-done list. All very exciting!! In my livestreams I don’t go into the nitty gritty of doing my business, because that’s best reserved for my courses, masterminds and web classes. If you want to get down into all the little details of creating an STR, register for my Massive Cash Master Class replay. I’ve been told that I over-delivered in that class, which is something we always aim to do here at Cash Flow Diary!! If you’re not interested in STRs, that’s cool, too. I hope you find the information in the videos you see inside this article enjoyable and educational anyway. Maybe you’d be more interested in creative ways to buy properties with little to none of your own cash or credit. 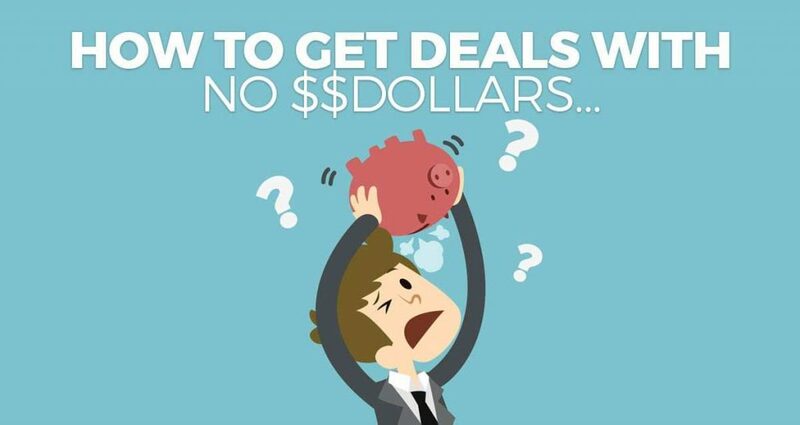 That’s how I’ve done most of my deals… and it’s the only way to go for me!! Wanna learn 6 ways to do that?